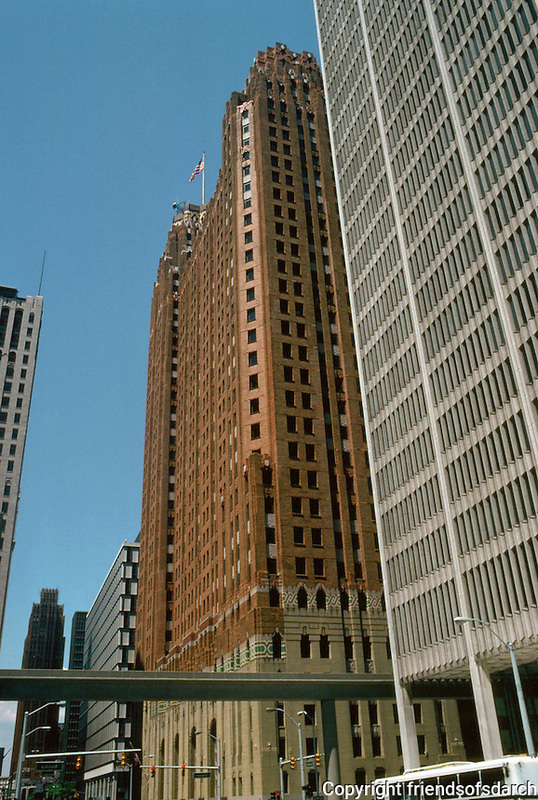 Detroit: Guardian Building (originally Union Trust), 500 Griswold. Wirt Rowland, Arch. for Smith, Hinchman, and Gryllis, 1929. 36 stories Art Deco skyscraper. Nat'l Historic Landmark 1989, Located in financial district of downtown. Brick,tile, limestone and terracotta exterior. Photo '97.